The Americana Music Academy is thrilled to present Americana virtuoso Tony Furtado as AMA's 2018 Artist-in-Residence on August 25! Tony Furtado will offer a full day of workshops and a concert during FidPick weekend! As a Winfield Champion and leading instructor with Folk Alliance International's Music Camp, Tony Furtado brings to the Americana and FidPick community a wealth of talent, knowledge, and musical prowess. We are delighted to welcome Tony back to Lawrence this summer! August 25, 1:00pm - 1:45pm, Workshop: Banjo with Tony Furtado. $15/advance, $20/door. Space is limited! Buy tickets here! August 25, 2:00pm - 2:45pm, Workshop: Slide Guitar with Tony Furtado. $15/advance, $20/door. Space is limited! Buy tickets here! August 25, 3:00pm - 5:00pm, Jam: Community Open Jam. Totally free and open to the public. Acoustic instruments only. August 25, 7:30pm - 9pm, Special Concert @Vintage Church: Tony Furtado $15/advance, $20/door. Space is limited! Buy tickets here! Tony will give an overview of 5-string Bluegrass banjo styles and techniques, and will demonstrate his own approach to performing and composing with the banjo. Beginners welcome! What To Bring: Your questions, and a notebook and pen, if desired! This is not a hands-on workshop, but feel to bring your banjo if you want. Questions? Give us a shout out at americanamusicacademy@gmail.com ! Tony will discuss the basics of beginning slide guitar, fingerpicking, playing in open D tuning, and his unique approach to guitar playing. Beginners welcome! What To Bring: This workshop is hands-on, so bring your guitar, a slide if you have it, and a notebook and pen if desired. Be sure to book your stay at The Eldridge Hotel, Baymont Inn & Suites Lawrence , or Hampton Inn and mention that you are here for Tony Furtado during FidPick weekend. Thank you to our sponsors: City of Lawrence, eXplore Lawrence, West Side Folk, Mass Street Music, Kansas State Fiddling & Picking Championships, The Bramlage & Willcoxon Foundation, and The Eldridge Hotel. September 9, 1:00pm - 2:45pm, Workshop: Songwriting 101 with Grace and Pierce Pettis. $20. Space is limited! To register, email americanamusicacademy@gmail.com . September 9, 3:00pm - 5:00pm, Jam: Community Open Jam. Totally free and open to the public. Acoustic instruments only. September 9, 7:30pm - 9:30pm, House Concert: Grace and Pierce Pettis $15/advance, $20/door. Space is limited! To reserve a seat, email americanamusicacademy@gmail.com . We'll do our best to put this "magical marriage" under the microscope, exploring the melodic nature of words and speech and the literary and narrative undertones of melody and chord progression. We'll use discussion and some simple exercises to tackle song structure and word choice. We'll touch briefly on chord choice, just enough to help the aspiring songwriter accompany themselves. This workshop is for everyone! If you've got a pencil and can carry a tune, you've got everything you need to get started. What To Bring: Paper and something to write with; A song to critique, via a recording or live. Pierce Pettis began his long career as a writer/artist at the legendary Muscle Shoals Sound Studios in Alabama and later as a staff songwriter for Polygram/Universal Music in Nashville. His songs have been covered by artists ranging from Garth Brooks and Dion to Joan Baez and Art Garfunkel. Pettis' fifth album for Compass Records (Nashville), "That Kind of Love" (2009), received rave reviews from XM/Sirius Satellite Radio, Paste Magazine, Performing Songwriter, American Songwriter, The (London, UK) Sunday Express, Image Quarterly . . . to name a few. His newest, “New Agrarians” (by the trio of the same name) is a co-effort with Kate Campbell and Tom Kimmel, released November of 2014. Pettis will begin work on a new solo project for Compass Records Group in August of 2017. Grace Pettis, from Lookout Mountain, Alabama, has songwriting in her blood. The daughter of a poetry scholar and a troubadour, Grace comes by her love of words honestly. Her father, Pierce Pettis, is a critically acclaimed songwriter and performer who penned the Garth Brooks hit "You Move Me." Both Grace's brothers Rayvon and George (100 Watt Horse) are songwriters and musicians. What sets her apart in her talented family is her distinct, unaffected voice, described as a "wide open prairie, full of waving golden grains before menacing, dark thunder clouds" (SiriusXM Program Director, Mary Sue Twohy). Grace's latest Kickstarter campaign has succeeded at 120% of its goal, with the help of 350 backers, raising over $24,000 towards the making of Grace’s third album, produced by Dan Barrett, of the Austin-based band, PorterDavis (exp. release summer 2017). Earlier this year, Grace was sent as the official Buddy Holly Foundation's songwriter representative to the Chris Difford's Songwriting Retreat in England. August 26, 12:30pm - 1:30pm, Workshop: Vocal Harmony with Ellie Grace. $10/advance, $15/door. Space is limited! To register, email americanamusicacademy@gmail.com . August 26, 1:45pm - 2:45, Workshop: Clogging with Ellie Grace. $10/advance, $15/door. Space is limited! To register, email americanamusicacademy@gmail.com . August 26, 3:00pm - 5:00pm, Jam: Community Open Jam. Totally free and open to the public. Acoustic instruments only. August 26, 5:30pm - 7:30pm, House Concert: Ellie Grace w/Special Guest Diane Gillenwater. $10/advance, $15/door. Space is limited! To reserve a seat, email americanamusicacademy@gmail.com . August 26, 7:30pm - 9pm, Jam: Join us outside for more acoustic jamming! All events on August 26 will be held at the Americana Music Academy. August 27, South Park, Contest: Ellie Grace will serve as a judge for the Harmony Singing Category. Experience the joy of group singing and gain some insight into the mystery of harmony! In this workshop, we will focus on healthy singing technique, musical style, basic concepts of harmonizing, and working as a unified whole in the context of Americana music. Most of all, we will sing! What To Bring: A water bottle. That's it! Now is your chance to get "feet-on" experience in Appalachian clogging. With each step clearly broken down and made highly approachable, everyone will learn exciting moves to take to any dance floor. Discover the joy of making music with your feet in a high-energy, supportive environment! What To Bring: Appropriate shoes and a water bottle. You need shoes that tie or buckle securely on your foot. No slip-ons and no high heels! Shoes with a hard, smooth sole work best as you need to be able to slide and make noise. As such, tap shoes are a great option. Men's vintage leather-bottom dress shoes are also a great example of a shoe that works well. Born into a deep musical tradition, Ellie Grace has been a traveling songbird, writer, multi-instrumentalist, and percussive dancer for most of her life. She first took to the stage as a young member of her family band and now tours internationally as a solo artist and a member of several beloved bands (including her sister duo, Leela and Ellie Grace). Ellie has performed at prestigious venues ranging from the Winnipeg Folk Festival to the Lincoln Center in New York City to the Summer Solstice Festival in Los Angeles to the National Women’s Music Festival, to most recently performing with Peter Yarrow and Paul Stookey at the Rubicon Theater in Ventura, CA. Ellie has devoted her life to the art of teaching and is deeply committed to making the art forms that she loves truly accessible to others. In addition to her time on faculty at Smith College and Mount Holyoke College, Ellie has directed schools of folk music and dance in Missouri and North Carolina and has been a master teacher at camps and festivals across the continent for over twenty years. In the culmination of a lifetime of performing and teaching, Ellie earned an MFA in Dance Performance and Choreography from Smith College in May of 2015. She approaches music and dance the same way she approaches life: with an irrepressible spirit, a driving rhythm in her step, and an undying commitment to using the performing arts to build community and lift others up. To learn more about Ellie Grace, visit www.elliegracearts.com . AMA Presents Cardboard dulcimer building workshop for kids! The Americana Music Academy is pleased to offer a Dulcimer Building Workshop for kids taught by dulcimer expert Allen Macfarlane. Mr. Macfarlane has toured the region teaching kids how to build and play their very own cardboard dulcimers at arts centers, historic sites, and schools. Students will learn how to build and play their own dulcimers through a unique workshop held over two full days. Construction of these cardboard dulcimers provides students with opportunities to express themselves artistically as they design their cardboard sound boxes, and to develop maker skills as they use tools to move their building project through to completion. Once assembled, children will learn playing techniques and will be able to take the instruments home with them. The musical instruction students will learn on this instrument will be forever special, as they will learn to play an instrument they've created with their own hands! The workshop is designed for Grades 4+, but adults are welcome too. 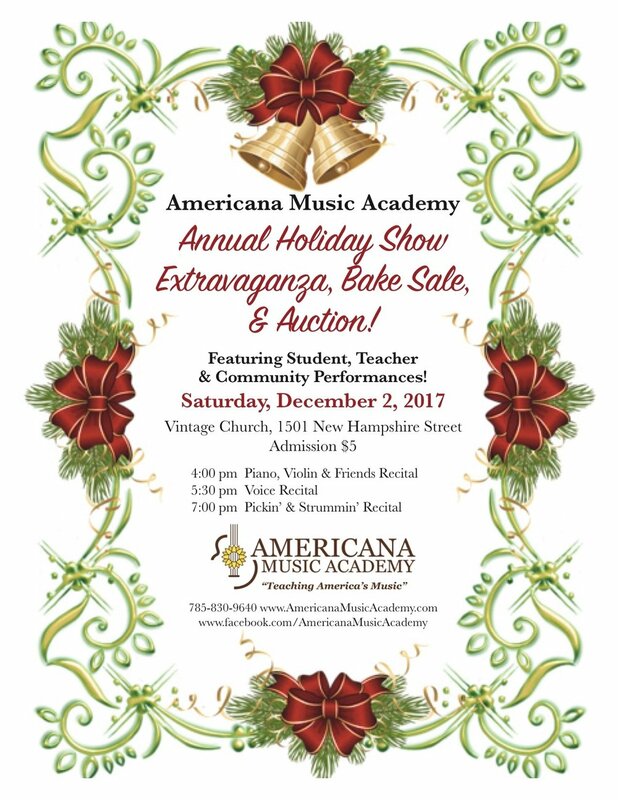 For more information or to register, email americanamusicacademy@gmail.com . The Americana Music Academy is excited to launch our 2016 Artist-in-Residence program with acclaimed Singer/Songwriter Matt Nakoa. A virtuosic pianist, Matt has performed everywhere from recently appearing at The White House, to throughout India, to regularly touring with folk legend, Tom Rush. He will be with the Americana February 22 - 24 for a Songwriter's Workshop master class and a few private lessons, culminating with a house concert on February 24 at 7pm. To reserve tickets for the house concert or to request more information about lessons or the master class, please email americanamusicacademy@gmail.com. To learn more about Matt Nakoa, visit www.mattnakoa.com. MATT NAKOA is an internationally touring singer/songwriter, recently appearing at The White House, throughout India, and regularly with folk icon Tom Rush. Growing up on a small goat farm in rural NY State, Matt discovered music as a means of teenage escape and trained to be a concert pianist. Matt was ultimately accepted as a vocalist to Berklee College of Music where he studied alongside soon-to-be Grammy winners St. Vincent and Esperanza Spalding among others. After school, Matt landed in NYC’s vibrant piano bar scene. There he quickly became a star performer at Manhattan’s famous Brandy’s Piano Bar, with lines waiting outside the door each Saturday night. As if illustrating two sides of himself, Matt’s first album, Light In The Dark (2012), is a sweeping pop opus, while A Dozen Other Loves (2014) explores an intimate acoustic palette. Across the board his song craft has garnered awards, including a win at Kerrville Folk Festival’s prestigious New Folk Competition. Though not easily pinned down, “In sum,” as a recent review put it, "Matt Nakoa is a musical adept, one of those well kept secrets you just can’t help but celebrate: intimate and genuine, soulful and bittersweet, a rich poetic songbook sung in praise to a complicated, emotionally present world." We have a new director! Rachel Black. Look for exciting news about who Rachel is to Americana, and what coming up this winter in the house. A couple of weeks ago Americana board member Karl Birns stopped by the Castle Tea Room’s open house and met their new board president, Doug. Karl let me know that CTR was interested in talking about some partnership ideas. Thanks Karl for re-connecting us. I met with them a couple years ago, but progress was not made at that time toward any opportunities. I’m happy to say that they have some different ideas going now, and they have been immediately responsive, which goes a long way in materializing ideas. As their grant proposal is considered, I’ve gone ahead and solidified our commitment by scheduling our next Americana recital May 17th, 7:30pm., and our July Jam Camp 20-24th, and concert July 24th with Castle Tea Room. Keep a look out for more event dates and happenings once we get word on funding and schedule a few events there to see how the space works out. Kids' Summer Music and Art Camp success! It's been a busy summer around Americana. I feel the momentum growing as we are growing back into the community. Our Kids' Camp programs are one of the most exciting things going on at Americana, along with more house concerts and events. This year we expanded our camp to two, week-long sessions and filled them both! It was a great bunch of kids this summer, and as we develop our camp, Scenic Roots and me realize more and more the value of our program for the children participating, their parents, and for ourselves as camp directors. We are excited about developing camp offerings throughout the year, and around the region as a traveling music and art camp. We hope to reach kids in small towns and inner city areas who would otherwise not form a connection with the tradition of American roots music, folk art, dance, and more. Partnerships are forming with Folk Alliance International, Douglas County Community Foundation, the Willcoxon Foundation, Freedom's Frontier, the Boys and Girls Club of Lawrence, and La Petite Academy, to name a few. We are developing plans for two day camps this winter, and an actual "stay-over" camp this spring/summer, where we keep the kids the whole week at a ranch facility still to be determined. We hope to bring awareness to the traditions of community, festivals, and jamming to this five day camp in the nearby northeastern Missouri countryside.